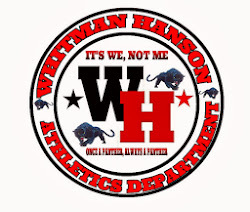 The Whitman Hanson girls soccer team advanced to the south sectional finals with a 2-1 victory over Hingham. Hingham took the lead on a Caroline Harkins goal in the first half and that lead held up until midway through the second half when Lauren Bonavita took a 45yd pass from Samantha Smith and outraced the defender and placed the ball into the lower left corner. Both teams continued to battle and with a minute remaining, after a long throw by Delaney Hall, Bonavita collected an Eve Montgomery pass and fired home the shot for her second goal. The Panther defense of Sam Perkins, Samantha Smith, Elana Wood and Olivia Johnson were outstanding against the Hingham offense. Goalkeeper Skylar Kuzmich was outstanding making 16 saves in the Panther net.